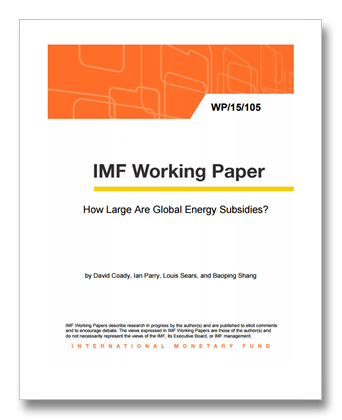 This editorial, and the WMF report it refers to, provides an estimate of the amount of money that goes into fuel subsidies by governments around the world. I’ve been wanting to have a sense of these numbers. The report makes a distinction between pre-tax subsidies (those that “arise when the price that consumers pay is lower than the cost of supplying the energy”) vs. post-tax subsidies, which include the environmental costs incurred by using the fuel (i.e., the externalities, including climate change). Post-tax subsidies are, not surprisingly, much higher than pre-tax subsidies. Pre-tax is about a half a trillion dollars, while post-tax is more like 5 trillion. And of course, as the NY Times points out, ending these subsidies (i.e., imposing a carbon tax) is the way to go! A new report from the International Monetary Fund makes a compelling case for why countries should end subsidies for fossil fuels: It would save millions of lives. Governments subsidize energy in many ways. Some countries sell gasoline and diesel at prices lower than the cost of producing or importing those fuels. But by far the biggest way countries reduce the price of energy is by not taxing it enough to account for the damage that burning fossil fuels causes to human health and to the climate. The I.M.F. estimates that calculated properly, energy subsidies will amount to $5.3 trillion this year, or 6.5 percent of the global gross domestic product. China, the largest emitter of greenhouse gases, will be responsible for nearly half of that amount, or $2.3 trillion, and the United States will be the second biggest at $699 billion. The arguments for cutting subsidies are not new. But the I.M.F.’s exhaustive research makes the case even stronger and more timely. The fund calculates that by raising taxes on fossil fuels, basically eliminating the subsidies, nations would reduce premature deaths caused by air pollution by 55 percent. That would make a big dent in the 3.7 million premature deaths that the World Health Organization links to all outdoor air pollution for just 2012. The climate would also benefit by reducing greenhouse gases. Eliminating subsidies, the I.M.F. estimates, would cut emissions of carbon dioxide, the main greenhouse gas, by more than 20 percent a year. Another benefit would be to increase government revenue, which could be used to invest in health care, renewable energy, mass transit and other public services. It would be naïve to expect most governments to completely eliminate energy subsidies. But there are reasons to be hopeful that public officials are becoming more willing to discourage the use of fossil fuels. Last year, for example, the Indian government stopped subsidizing the retail price of diesel to reduce its budget deficit. 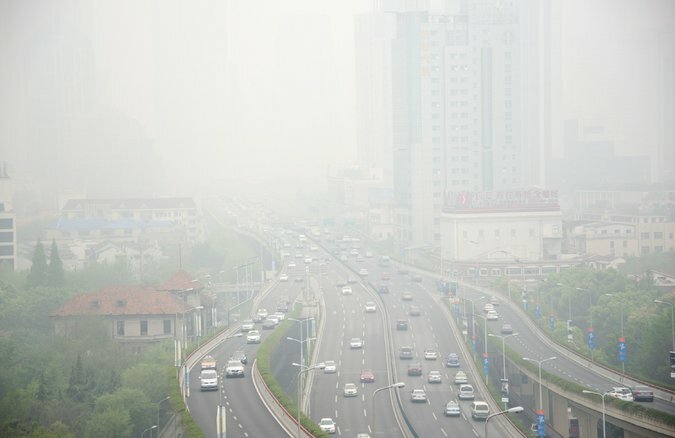 Meanwhile, China is trying to reduce coal use for electricity generation in an effort to improve the abysmal air quality in Beijing, Shanghai and other big cities. In the first four months of this year, that country lowered its coal use by 8 percent compared to the same period last year, according to calculations by Greenpeace. The recent sharp drop in the price of crude oil, coal and other fossil fuels provides an opening for governments to raise energy taxes, because any increase would have a much smaller impact on consumers than it would have had a year ago. In the United States, states like Iowa and Utah have raised gasoline taxes to help pay for road repairs. Congress should also raise the federal excise tax of 18.4 cents per gallon on gas and 24.4 cents on diesel, which has not been increased since 1993, and use the money for road, bridge and transit projects. There is no good reason for governments to sustain outdated and unnecessary subsidies that cause millions of deaths every year, not to mention the havoc that they are wreaking on the environment.